Each person alive today on this planet called Earth has the gift of intelligence. Questioning and answers, research and revelation are the absolute accreditation of GOD and belief. So with this intelligence, how do we perceive reality and reasoning within a modern spectrum with life and journey through time? How do we value each day of our lives with actual recognition and the signs GOD gives to us all? Actually, what do we see with time and memory? What do we feel? This Earth is a miracle with time, truth or non-truth. This Earth and evolution is a statement of learning, appreciating, sustaining and living. So how in our modern and hectic lives do we take time out to actually understand the beauty of creation and the very soul of our planet? This book is written in prose for everyone to associate with, whether believer or non-believer. 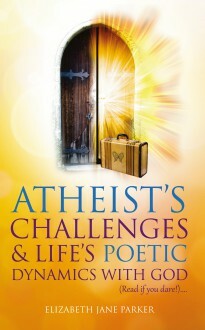 Atheists’ Challenges & Life’s Poetic Dynamics With GOD is written for everyone to associate with as a modern indication of faith, truth and love.